Engineered from scratch to create an all new solution. Can be produced to match any bolt size to meet customer needs. Can be coated to customer specifications to match operational environment. More than meets the eye. 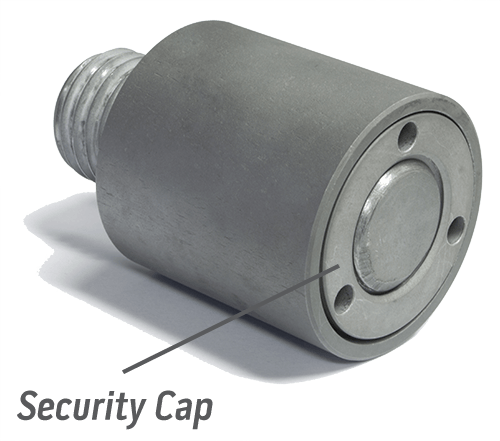 A threaded, 200 ft-lb torqued security cap is only the beginning of the security features. This first barrier must be removed with the proprietary tri-pin end of the included driver bit. The asymmetrical pin pattern acts as a disguised security feature. 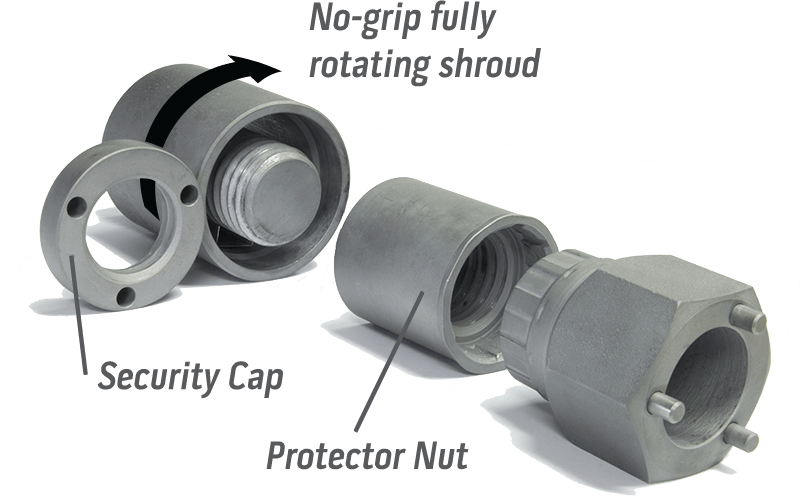 The strength of the Structural Nut assembly is the Protector Nut. The steel hardness and shallow keyway geometry gives would-be thieves nothing to grab onto. The perfectly matched driver bit locks onto the tapered keyway fins allowing incredibly high torque. Enigma Key Coding – 131 billion keyway variations. These twists and tapers of the keyway can only be replicated by the same machine that created the original key-code. Any counterfeit wrench can not engage sufficiently to apply the required breakout torque. 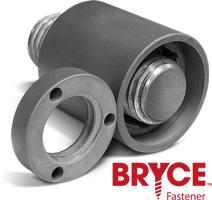 Click for more info about Key-Rex® Structural Nut Tamper-Proof Fasteners, or for all Bryce products, visit our products page.